This summer, the Alzheimer’s Association International Conference (AAIC) took place in Chicago, Illinois, being the largest AAIC in history! This week-long conference was an intense and inspiring experience for me, a research associate working under the mentorship of Dr. Tara Madhyastha, PhD, at the UW Integrated Brain Imaging Center. It seems the field is both growing and focusing on many emerging topics, such as the immune system, as well as classic Alzheimer’s research topics like cognition and amyloid pathology. 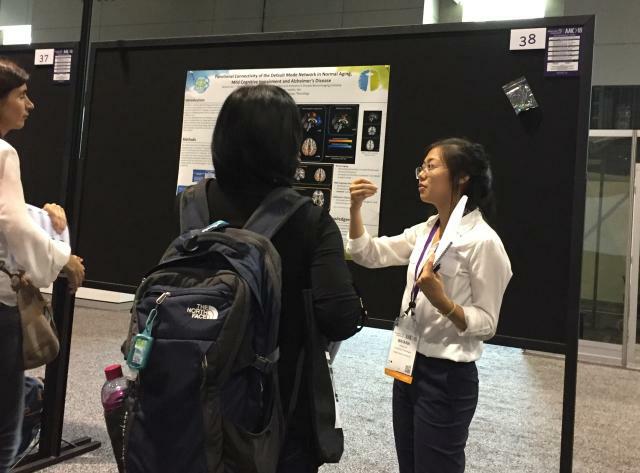 I presented my own project on the use of neuroimaging for early Alzheimer’s disease detection (Read: Our Alzheimer's Study and the AAIC). It's truly an exciting time to be a part of this effort and while the Alzheimer’s disease research field has had many challenges and failures, the collective efforts of all these dedicated researchers makes me optimistic for the future. Alzheimer’s disease is currently the 6th leading cause of death in America and this number is expected to increase with our aging population. For this reason, research to understand and treat the condition has only increased as well. To support these efforts, the National Institute of Aging (NIA) at the National Institute of Health (NIH) plans to increase funding to Alzheimer’s disease research and related projects three-fold, funding up to 25% of new/early-stage projects for the next fiscal year. According to Dr. Richard Hodes, director of the NIA, the field of Alzheimer’s research is moving toward a more collaborative and “open science” environment. As a major force in promoting this movement, the NIA plans to continue its support of a more open-source/open-data research community so that with the collection and analysis of vast amounts of data, research progress will continue to accelerate. Amyloid, a hallmark protein of Alzheimer’s disease, can build up in the brain for 10 to 20 years before reaching disease-state levels. A major question in the Alzheimer’s field surrounds the point at which individuals begin to manifest clinical symptoms. This issue is the focus of the Dallas Lifespan Brain Study, led by Dr. Denise Park at the University of Texas. Started in 2008, the longitudinal study follows 500 healthy and cognitively normal adults ages 20 to 89, who did not show significant amyloid build up at the start of the study, indicated by normal (negative) PET scan results. This database is one of the only studies following middle-aged healthy adults as they age, and scientists plan to use this resource to track the relationship between of amyloid deposition and cognitive decline before the onset of dementia. At 4 years into this study on cognitively normal adults, Dr. Park and her team have found that the amount of amyloid in the brain correlates with rate of cognitive decline in older adults with a positive amyloid scan (a high burden of amyloid) over a 4-year time span. Strikingly, this relationship was detectable even in the middle-age cohort - however, only in scores on vocabulary tests. Early intervention will likely be key component to treating Alzheimer’s disease, and this work provides a potential window for early detection and intervention by showing that early increases in brain amyloid can indeed be correlated with subtle cognitive changes. 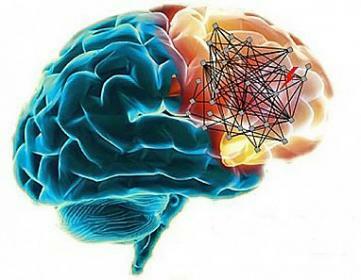 In our brains, information is communicated through electrical signals between neurons. When we perform a particular mental task, certain groups of neurons become active in synchrony. We call this a “functional network.” AAIC plenary speaker Dr. Lennart Mucke of the Gladstone Institute of Neurological Disease discussed his work on abnormal network activity in Alzheimer’s disease. He has found that electrical activity becomes imbalanced even before clinical symptoms appear. Dr. Mucke and his group observed that this imbalanced electrical activity results in remodeling in the brain’s hippocampus and overall changes in brain network activity. Because the hippocampus is a major site involved in learning and memory function, he believes these network changes may contribute to the cognitive abnormalities in Alzheimer’s disease. In the future, Dr. Mucke says we will need to better differentiate the network dysfunction relative to the normal function in order to understand and potentially use network measures to aid in diagnosis. As a highly specialized and critical organ in the body, the brain is protected from the blood by a protective structure, called the blood-brain barrier. The blood-brain barrier is highly selective in what it allows to the brain, exchanging mostly small nutrients and gas molecules and excluding large immune cells. Research over the last decade however has demonstrated immune system involvement in many neurological conditions including Alzheimer’s disease. Dr. Michal Schwartz at the Weizmann Institute of Science, Rehovot, Israel, a world pioneer in neuroimmunology, focused much of her career on this topic; what is the immune system doing and how is it entering the brain despite blockage by the blood brain barrier. From her work, Dr. Schwartz and her lab found that immune cells enter the central nervous system through a structure in the brain called the choroid plexus, an area that functions like a gateway between cerebral spinal fluid and blood. In addition, they discovered that in the healthy brain, an immune signaling factor, IFN-g, acts on this gateway site to prepare it for important exchanges, but in the Alzheimer’s brain, this activation may be reduced. Dr. Schwartz was a major player in initially promoting the notion that the immune system may play a protective role in the brain and moving forward, she and her team are focusing on ways to harness the immune system to fight against Alzheimer’s disease.